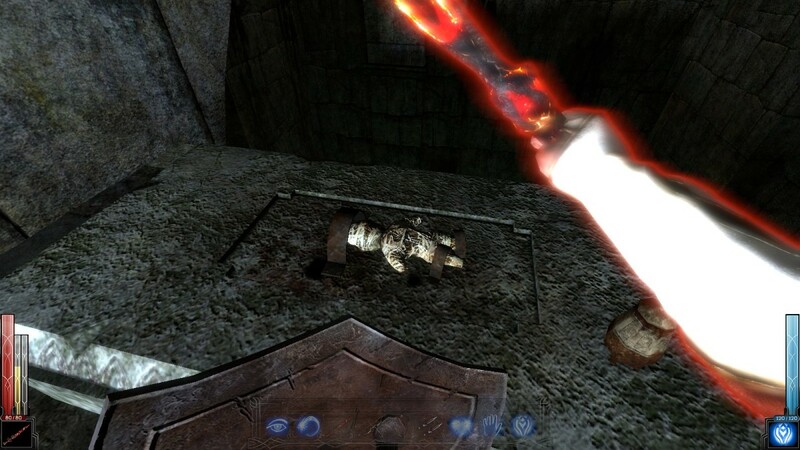 Heading in to 2006, everyone seemed to be talking about one game, and that game was Dark Messiah. I remember seeing previews spanning multiple pages in gaming magazines. It wasn’t however until I saw the video showcasing the game at E3 2006 that I actually understood what the fuss was all about. Then I promptly went back and read through every single bit of those previews which I had previously ignored. 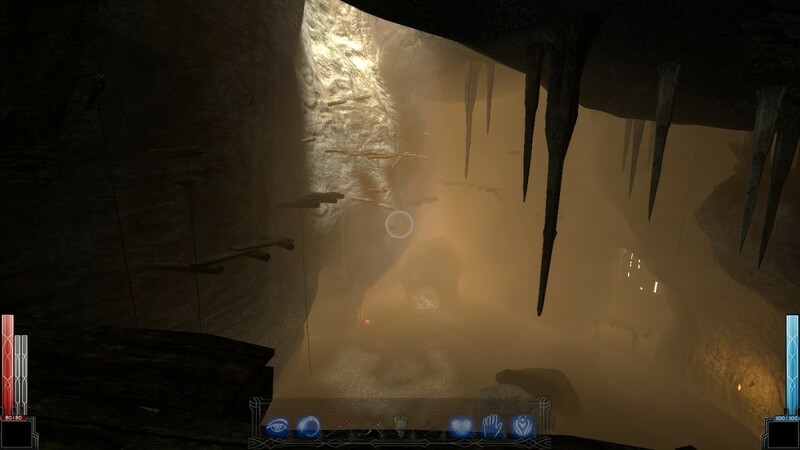 Dark Messiah is an interesting title because it is an FPS game with RPG elements, but not only that, it takes place in the Heroes of Might and Magic universe – particularly from Heroes of Might and Magic V onwards, in the land of Ashan – which has up until now fit in the turn-based strategy genre (with RPG elements), more similar to WarCraft or X-Com. It's a spin-off, basically. 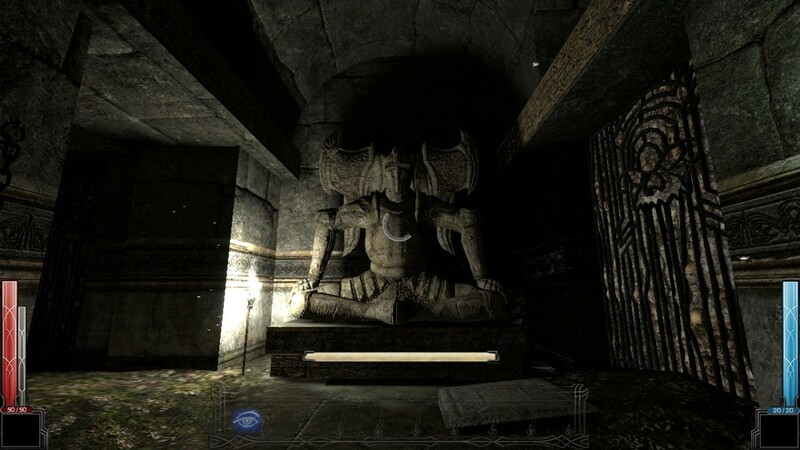 You take the role of Sareth, an apprentice to the Wizard Phenrig, who is sent on a journey by his master to the city of Stonehelm to deliver the Shantiri crystal to Menelag, a fellow wizard, and to accompany an expedition to obtain the legendary Skull of Shadows, the last remnant of the Seventh Dragon. 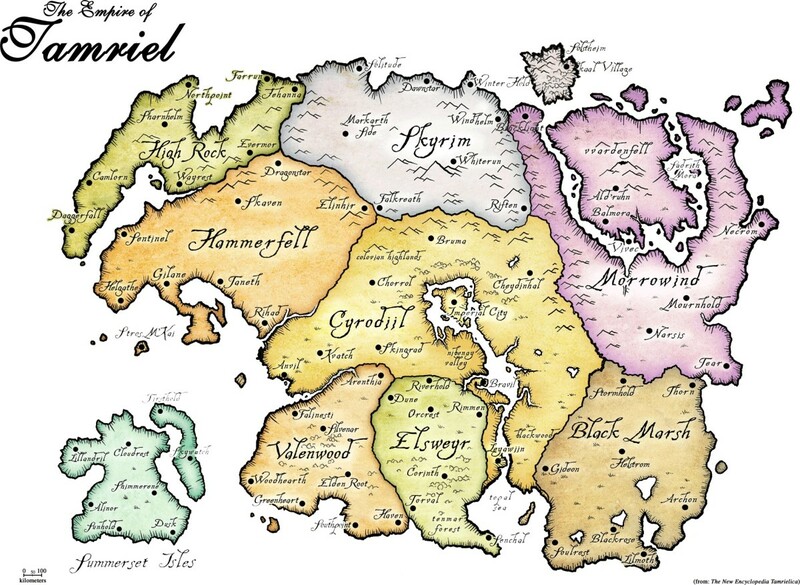 While there, the town is attacked by demonic forces, and eventually Black Guard, led by necromancers, raid the town looking to get a hold of the crystal, which is wanted by yet another individual, named Arantir, for his own purposes. You then begin on a quest to not only get the crystal back, but to find the Skull of Shadows, and on the way get involved in a much bigger story involving an ancient battle between man and demon. 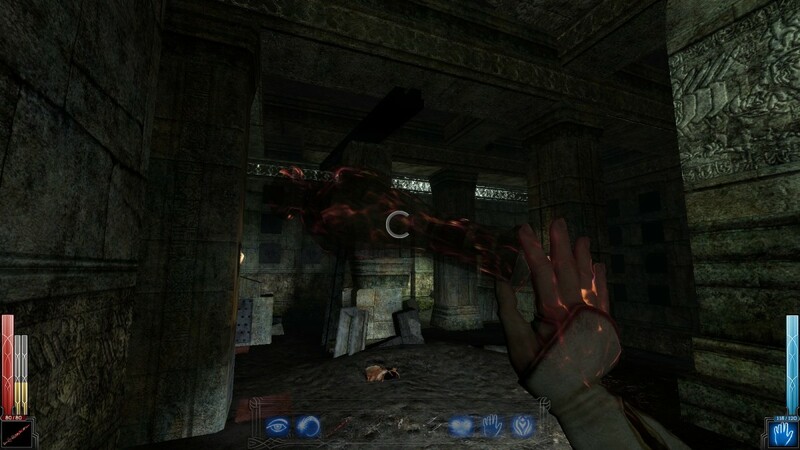 Dark Messiah was developed at the height of the Source engine’s reign as one of the most oft-used game engines to power a title, running alongside the likes of the Doom 3 engine and of course Unreal Engine. 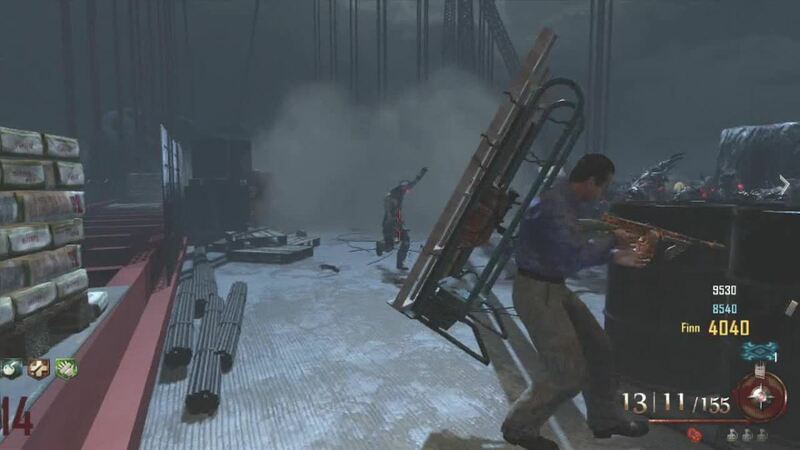 For that reason, the game feels quite similar to Half-Life 2 in several ways, especially what with its physics-based gameplay. That and the overall look and character animation, too. 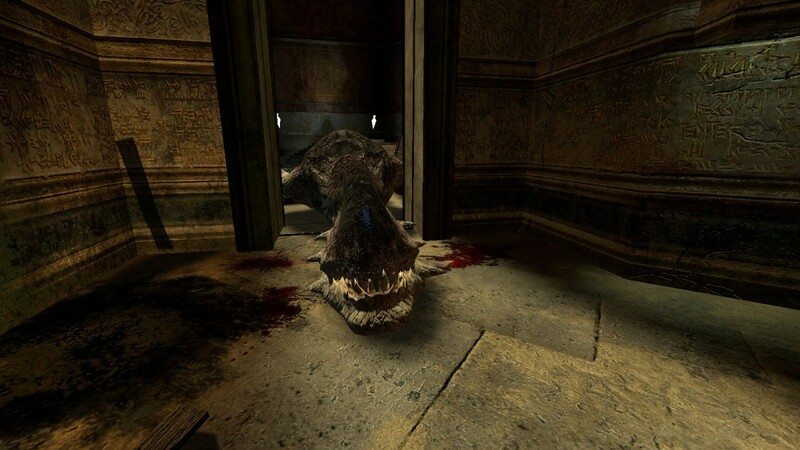 Similar to Half-Life 2, it has beautiful lighting and particle effects, and lovingly textured environments in some cases (especially in the crypt levels), but the character graphics aren’t the best in the world. 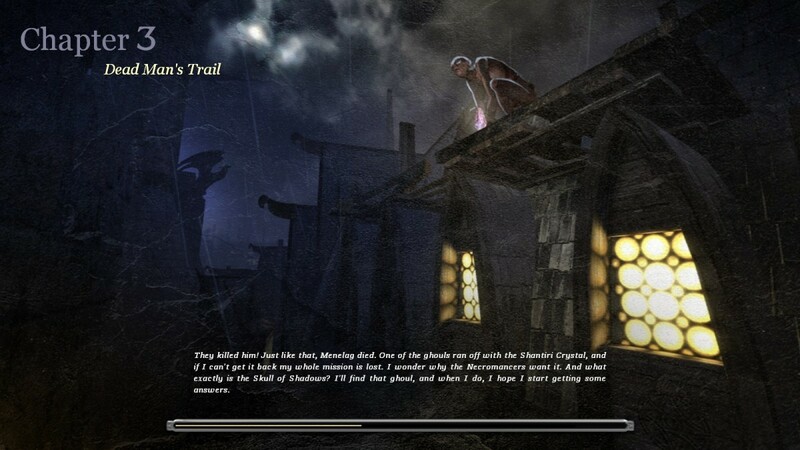 But the game plays more like Thief Deadly Shadows, and probably is just as linear but much more action-orientated. 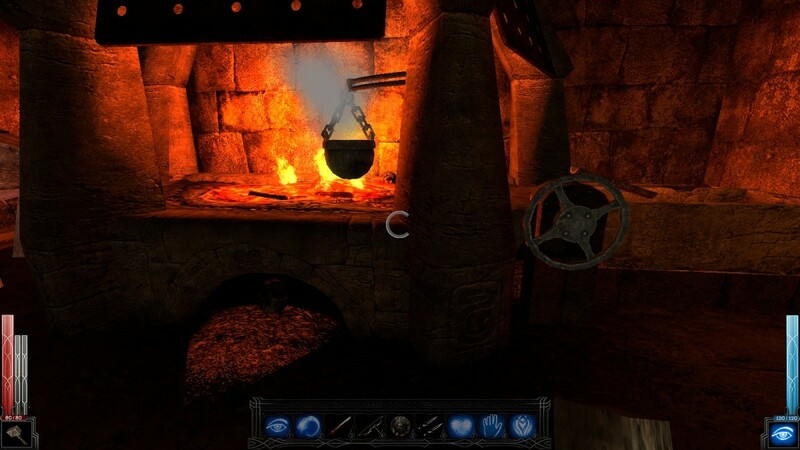 In fact, several people who worked at Looking Glass Studios on the Thief titles years before helped as consultants – probably to help the developers as far as a more stealthy approach to gameplay is concerned. 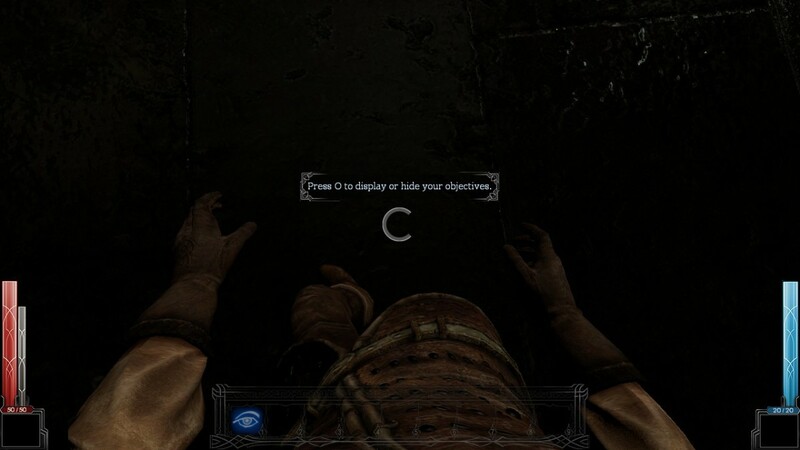 There are a few easter eggs in-game that reference Thief, such as rope bows and a secret that I won’t reveal here (but it involves the rope bow). That and the inventory system instantly reminds one of System Shock 2’s interface – another franchise created by LGS. It’s in the same sort of family of FPS/RPG hybrids, except far from the futuristic decks of desolate starships. 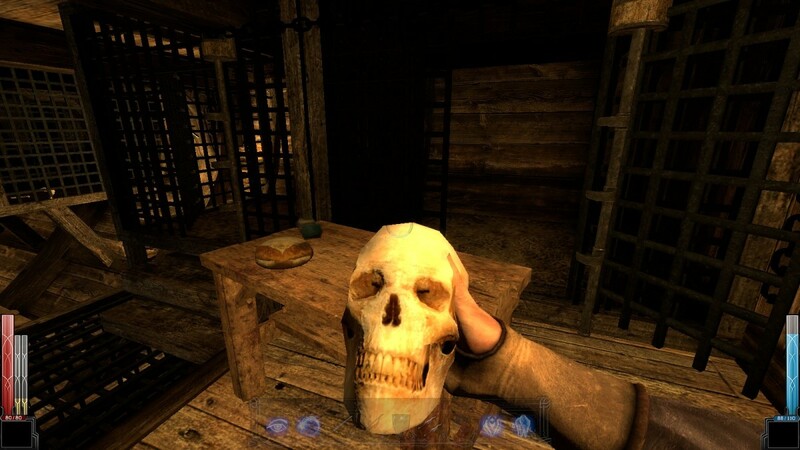 The game has a more medieval feel to it, not unlike Thief in some ways. 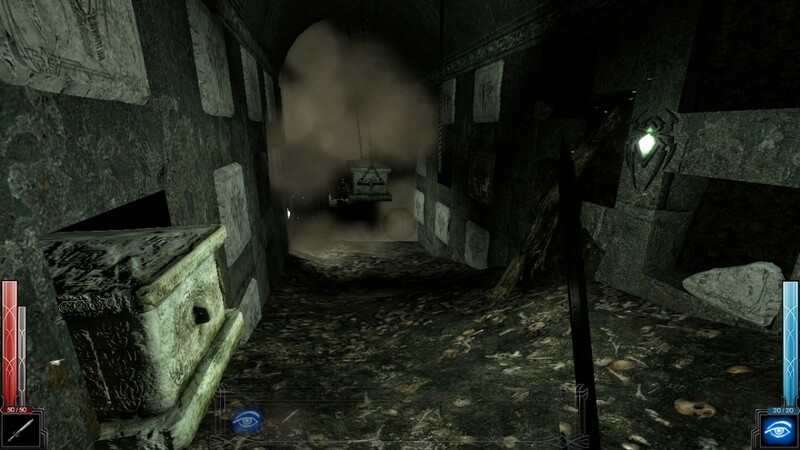 But you aren’t limited to using just stealth in this game – indeed it doesn’t always work so well at times. Neither does full frontal combat, but I digress. 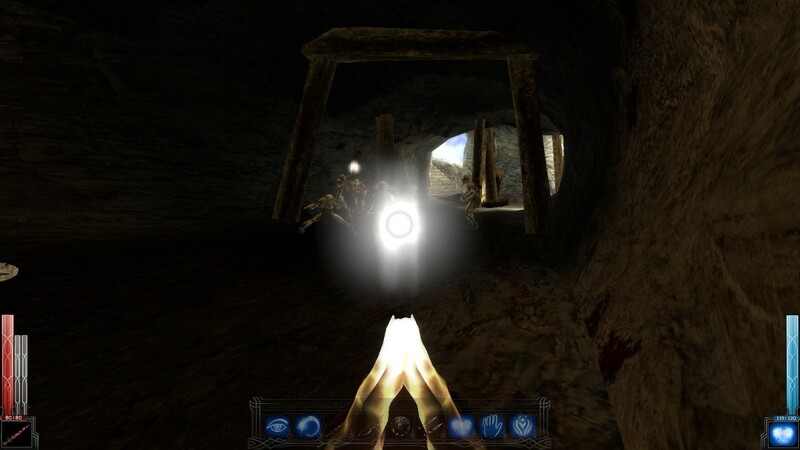 You don’t have a lightgem like in Thief, but instead a circle which surrounds the crosshairs, which indicates how well hidden you are. You can also take a different approach and go with full-on swordplay. 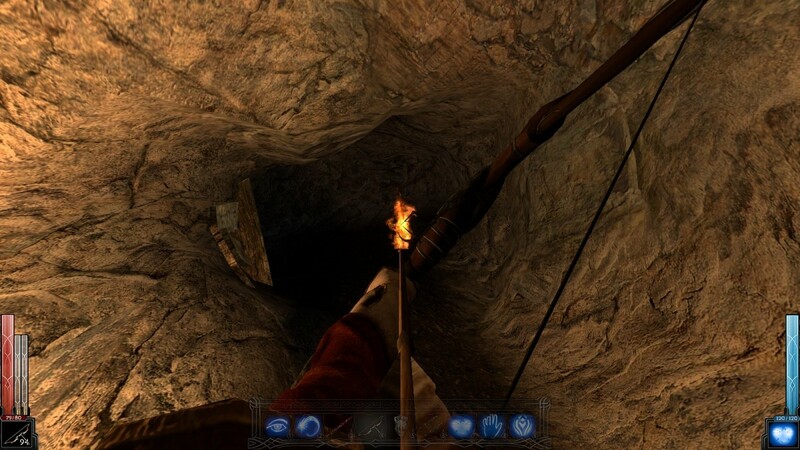 You can combine this with using traps that are spread throughout the game in various areas – usually those populated by enemies, no surprise. 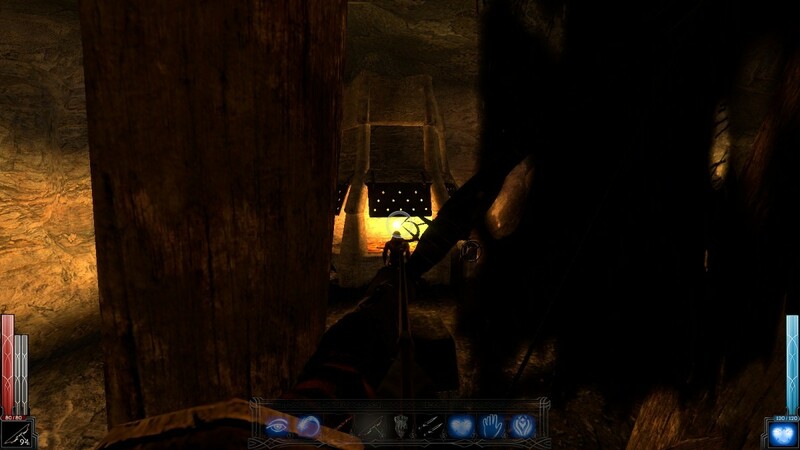 These traps may include weakened posts that when broken will cause crates and barrels to come toppling down on top of your foes, usually either rendering them injured or lifeless. Or you can use magic to inflict pain on your enemies or even cause them to fight one another. Not all spells are offensive however. 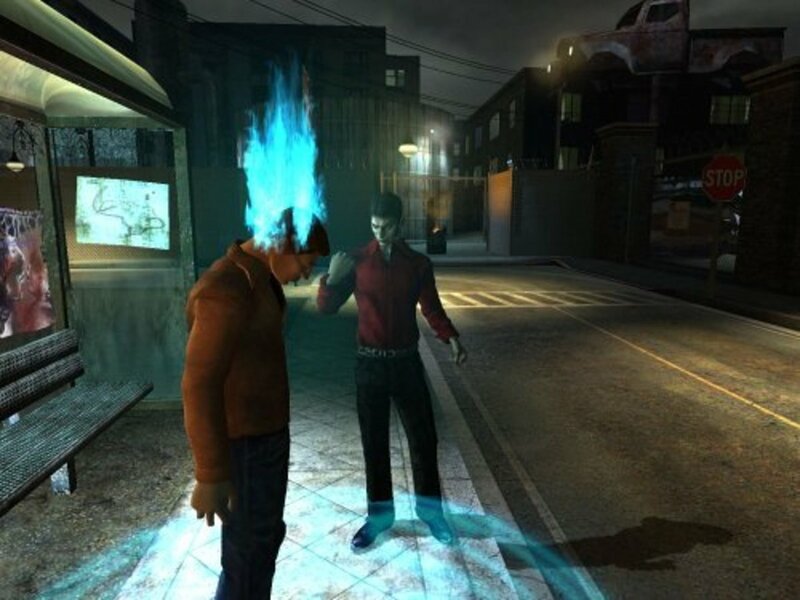 You do get defensive spells which will help ward off the attacks of others. And you level up your character accordingly, by way of spending skill points awarded for completing primary and optional objectives in game, opting for stealth, swordplay, or sorcery. Might, magic, or…erm, mystery. You don't have any classes as such like you would in Diablo II or maybe even Borderlands. 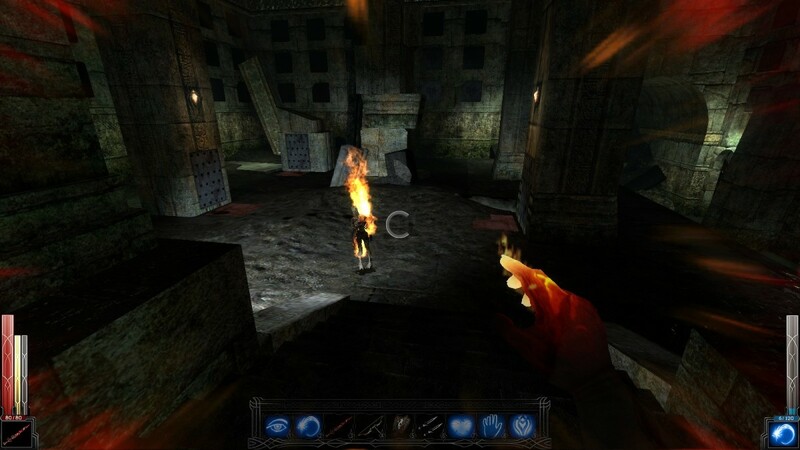 And unlike Diablo II for instance where it is possible to possess every possible skill or spell with a character, in Dark Messiah it is highly unlikely if not impossible that you will be able to do this. Reason being that skills and spells require more than one skill point to upgrade, which is more in line with System Shock 2 where upgrades take numerous points (or cyber modules in this case) most of the time. This encourages players to choose one discipline and ensures replayability. 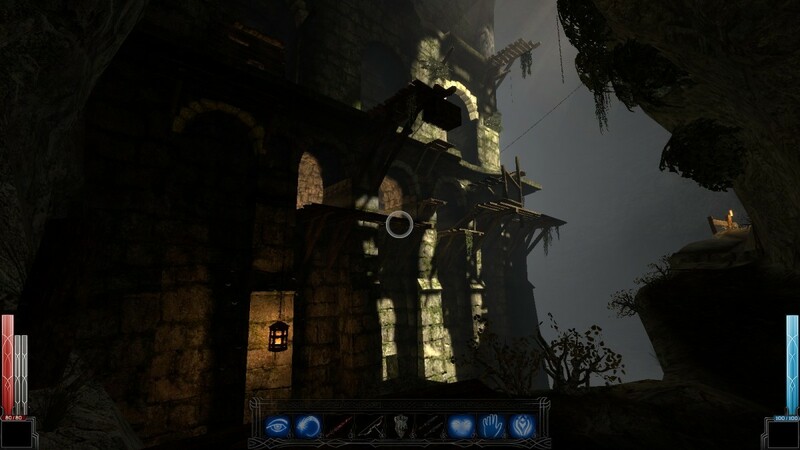 There were plans for a Dark Messiah sequel at one point, but seeing as Arkane Studios left Ubisoft, the folks behind the Might & Magic series were left looking for a new studio to do the job. You can also utilise kicking to keep enemies at a distance and can even use the ability to knock enemies off of cliffs or over the side of ships in to the water below. It has even more effect than say the mighty boot from Duke Nukem 3D. But for those who dare, swordplay in particular is quite a bit more complex than you’d think. 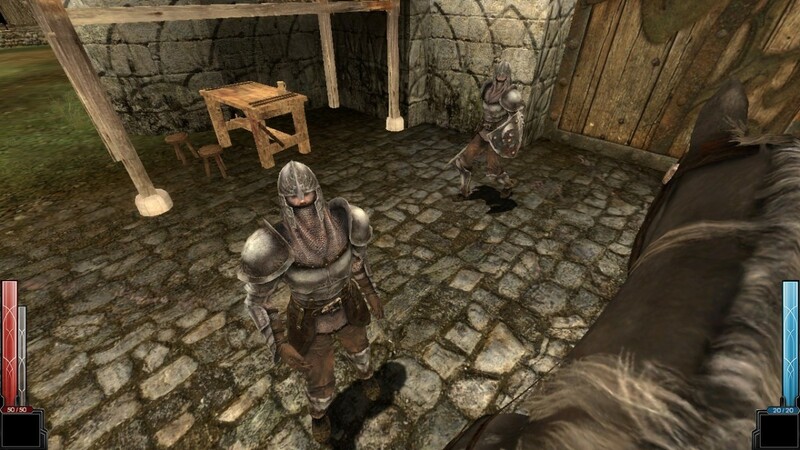 In addition to kicking, with more skilled and powerful enemies such as Orcs and Vampiric Knights for instance, they can not only parry your sword blows, but you can at times enter in to a test of strength which has you clicking the left mouse rapidly to best your opponent. They might even pick you up with one hand and throw you halfway across the room. Shields can be used to bash enemies with, and can be shattered in combat, and counters can be employed to catch your enemies unaware – perhaps not as in dramatic a fashion or simplistically control-wise as say Assassin’s Creed, but anyway. You can press different directional keys to set up for different attacks with bladed weapons and staves and can hold the attack key for a more lethal power strike. Doing so leaves you open for attack but if a power strike connects, it can mean the end of the fight for your opponent. That or they may retreat, complete with limp. Indeed, some enemies are more willing to fight than others. Some favour attacking from a distance or may even run away from you if you get too close. During combat, you’ll also notice one or two bars (depending on what skills you've "bought") filling. This is the adrenalin bar and once it is full, you can use whatever weapon or spell you wish to execute the poor fellow who happens to be in your crosshairs. With swords or daggers, you can aim at a part of your opponent’s anatomy and you will get a different fatality depending on where you aim. With adrenaline full, magic spells will increase in their deadliness and range. 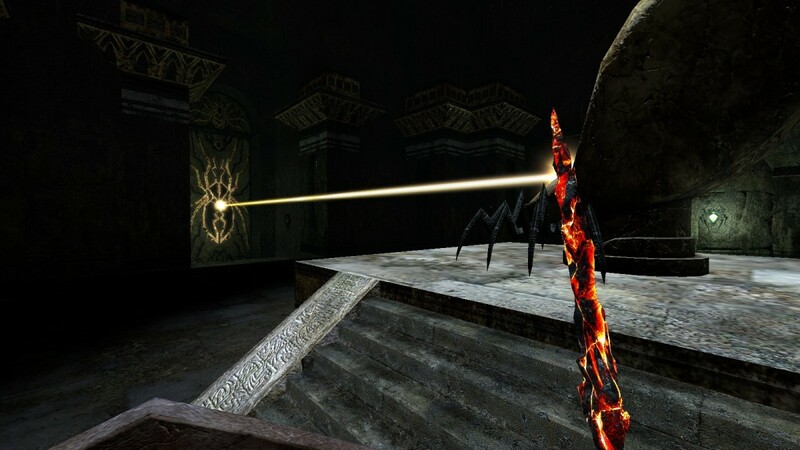 Combat is challenging enough on normal difficulty, but those not satisfied can put the combat difficulty on hard, and can also disable some features in-game, like bow crosshairs to make things even more miserable for themselves. There are several different classes of weapons to use. You have daggers, swords, staves, and bows. Some are regular weapons, and others have magical properties, much like Diablo. 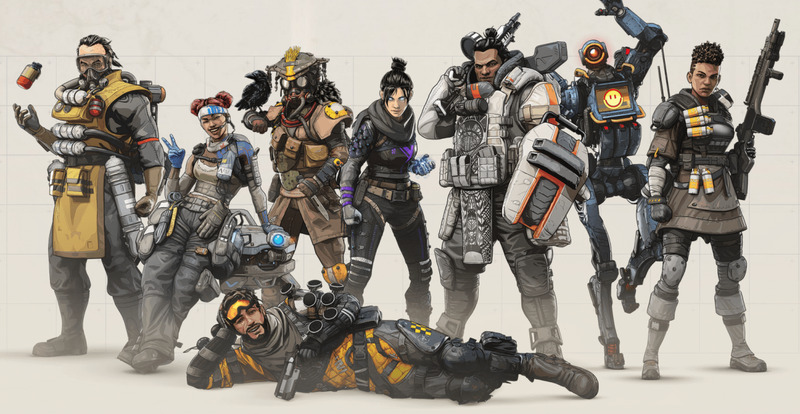 They all have a minimum damage rating which might be increased by certain items you find in game, and some may even have a minimum player level requirement or condition that must be met before being able to be used. You also naturally have armour. Some armour is suited to combat, other armour is more suited to stealth, and you have robes which grant you bonuses to your magic skill. Armour isn’t enchanted like weapons are though, unlike Diablo, but does have a class rating which will determine how much damage you take during combat. Then there are shields, which help when you need more effort to parry stronger attacks. Don't rely on them too much, for shields can be broken during combat – although there are some very powerful, indestructible shields you may find if you look hard enough. You also might stumble upon enchanted items like rings which give you certain benefits, such as being able to inflict more damage, or resurrect the player once they reach 0 health. 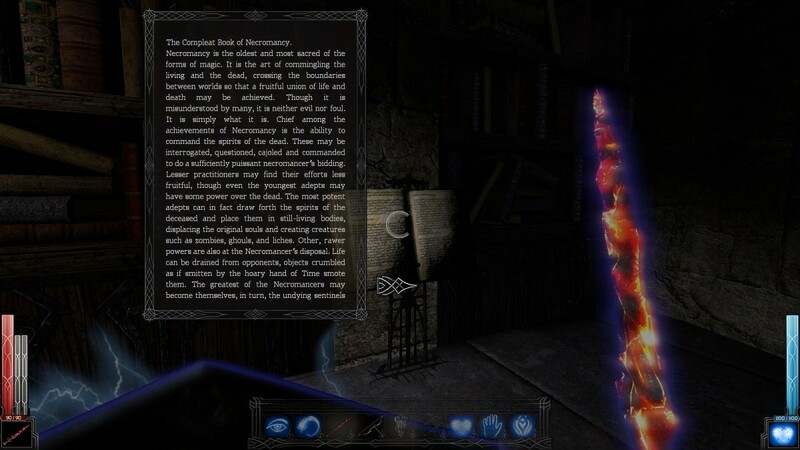 There are readables too like pieces of paper, journals or tomes which explain happenings in the game or might clue you in on some things (like how to make a sword blade – more on this later ). And of course what would a game of this nature be without keys to unlock pathways through a level? Not only this but you can practically pick up almost any object in the world, like barrels and crates, and throw it about. Handy for use when desperate during combat and you need to tip the scales in your favour a bit. You are also able to use several different potions. There are two different kinds of health potions (one which restores partial health, the other full health), antidotes (to combat the effect of spider bites and zombie spew), mana restoring potions (mana is depleted while using magic spells, but does regenerate albeit very slowly), and stone skin potions which help reduce damage taken during combat. You can also eat whatever food is lying around in the game to restore little bits of health. There are also mushrooms which restore both health and mana. 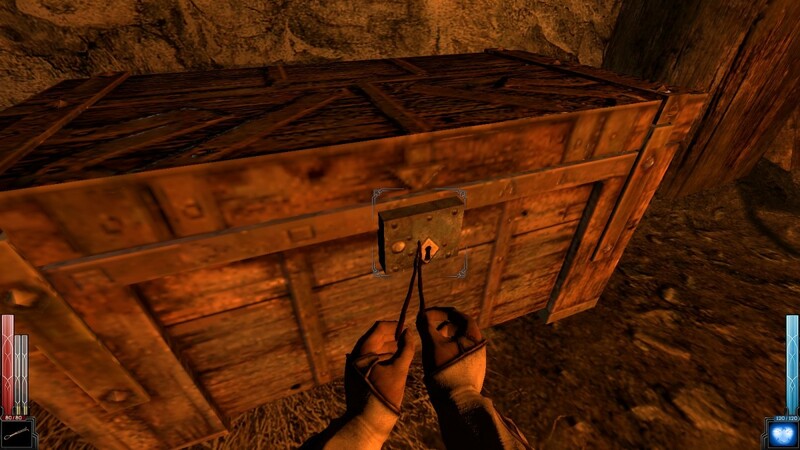 Items are often found in fixed locations such as closets, chests, supply crates and in hidden areas. You’ll rarely get them from enemies in game. Only weapons, shields and keys are to be found on them in most cases. Everything you find in game will be added to your inventory, which determines who much you can carry at any one time. Items can also be added to your item belt which allows for the use of hotkeys – useful when in a jam. Speaking of which, now we get on to the enemies you'll face, which often depends on the location you’re in. You have human enemies in the form of Black Guard, who are mercenaries, commanded by necromancers. Necromancers are powerful in the arts of magic and have resurrected humans called ghouls by their sides that are much like attack dogs – similar in a way to Golem from Lord Of The Rings. Orcs make a presence here too, and are among some of the most fierce enemies. Goblins are often where Orcs are, or nearby anyway – but there is evidence that the two species don’t get along. 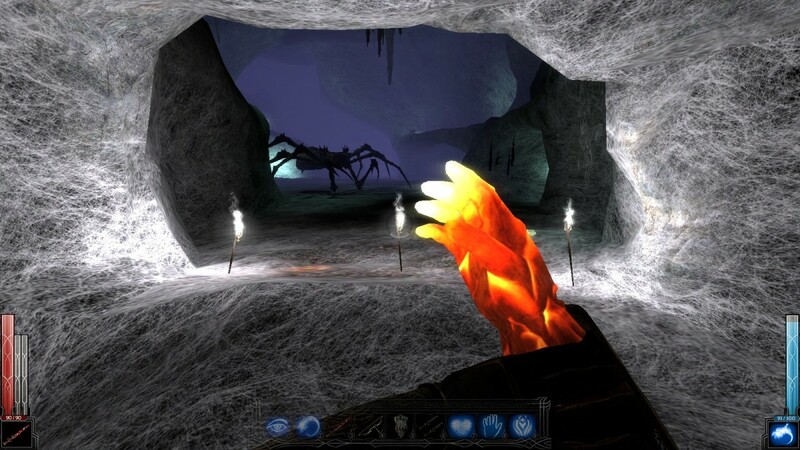 Giant venomous spiders are to be found in immense spider pits – this will likely halt the progress of many a player. Zombies make the obligatory appearance too down in the crypt levels. And not to mention there’s the gigantic Cyclops that will make a few appearances during the game, and the terrifying Pao kai, which is basically just an enormous lightning spitting dragon. That’s all. Humans such as Black Guards, Stonehelm guards, Mages and so on will be found in and around Stonehelm and other towns or villages, chiefly. Orcs and Goblins tend to crop up on Temple Island across the Sea of Blood, and zombies appear in the crypts below it. 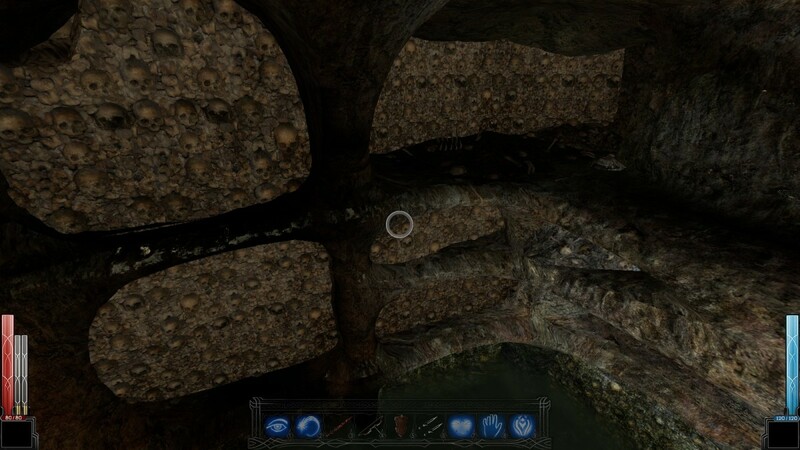 Necromancers, Vampiric Knights (which are essentially jacked up Black Guards, and unbelievably scary and tough) and Ghouls will mainly be found in another dimension through a portal, called Nar-Heresh, but do pop up throughout the game wherever Arantir happens to be. It’s not uncommon to find yourself backtracking and finding yourself in previously visited areas. You have allies, or at least people you believe to be allies, as well as enemies, too. Besides Phenrig, your mentor, and Menelag, there’s Leanna, who is the niece of Menelag and will accompany you throughout much of the game. 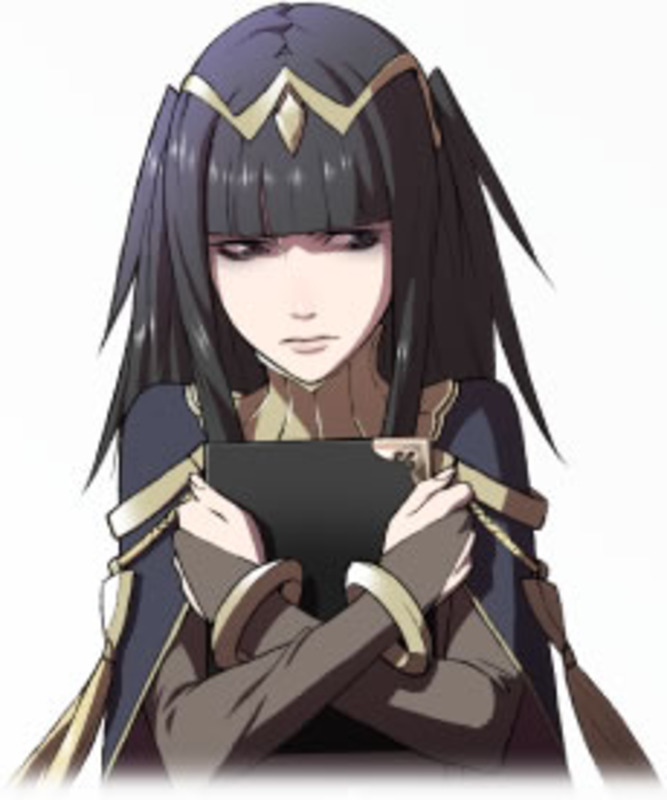 She is a very important character as her fate can determine one of multiple endings in the game. As the commander of the expedition sent to Temple Island to retrieve the Skull of Shadows, she also has at her disposal several Stonehelm guards and mages in the employ of Menelag. Another character who will also be present in some form is Xana. Xana is a demonic spirit who is bound to Sareth’s soul, and she can communicate with him only him. This does raise an eyebrow or two from other characters who may think he is talking to himself when in fact he’s talking to Xana – because they can’t hear her. Most of the time she will only talk to Sareth when they are “alone” and when she thinks he needs her help, sort of like that annoying little companion in Microsoft Word, except she can't be turned off (although there is a mod that can do this). There is at least one character in the game however who is able to eavesdrop on their communication. 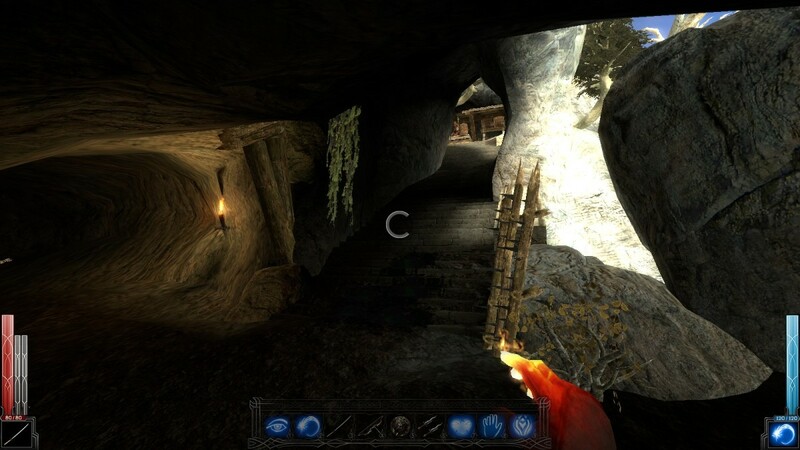 The game has its points where it can be rather quiet and passive, almost tranquil, and exploration is encouraged at these times, as there are several secrets to be found, often with worthwhile items to be had. However, once you come across some foes, that all changes. The music flares up, and continues on as you battle, interrupted by a cacophony of swords and shields clanging, kicks connecting with bodies and magic spells being fired. This one battle-themed track does get a bit repetitive, and is only really accompanied by a handful of other tracks that are rather forgettable, except for the main menu theme, which I believe is one of the greatest I’ve heard in any game. Sound plays a part in the game in other ways too. 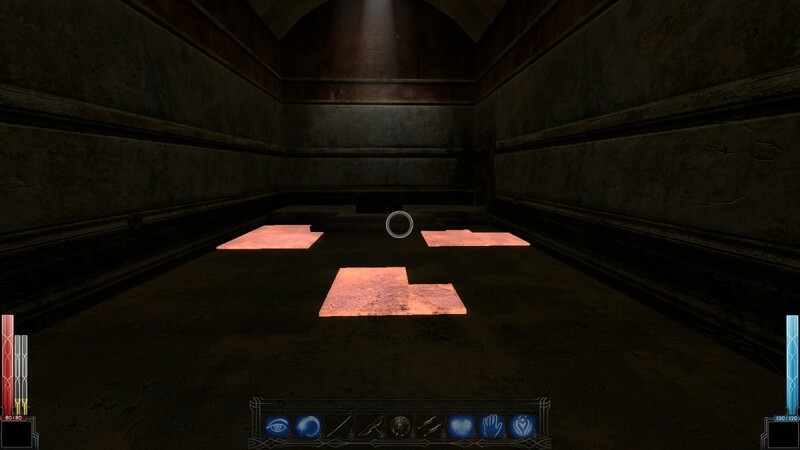 Similar to Thief, you are encouraged to quieten the sounds of your footsteps by walking or creeping, keeping low. This may prevent the enemy from being alerted to your presence and pouring down upon you and overwhelming you. This may not be what you want as combat against multiple enemies in close quarters will probably result in your demise. In fact, one should try to keep the noise level in general hushed, unless you wish to create a distraction of sorts so you can slip by or make an enemy walk in to the path of a trap. The game has its share of annoyances and bugs. 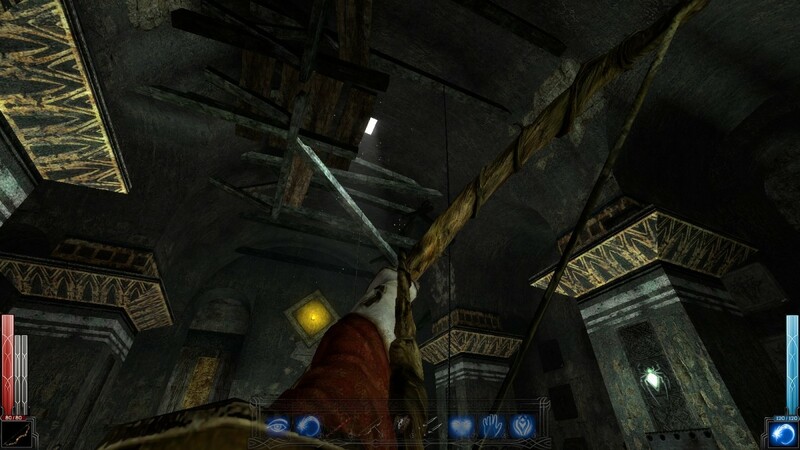 The mantling system is just as flawed if not more so than it was in Thief at times. This combined with a fair bit of rope arrowing throughout the game leads to a lot of reloading of savegames. 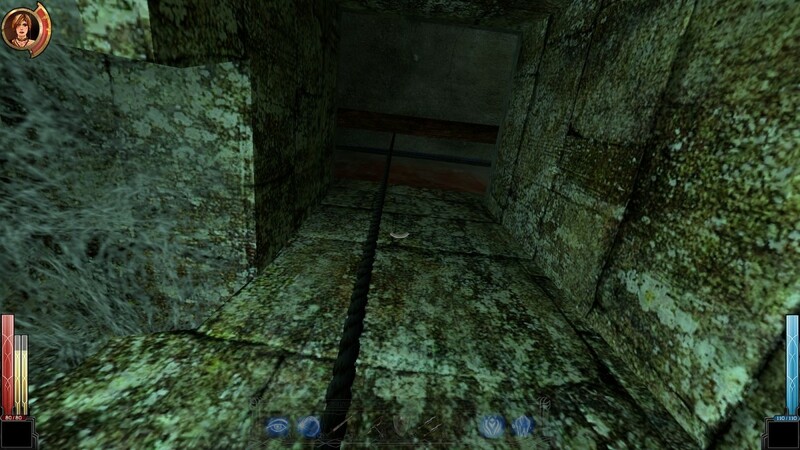 There are also instances where the player will be climbing a ladder or rope arrow and he or she either gets stuck, or the game crashes. There’s also a strange bug that crops up during loading points between chapters and the game will crash. This is easily rectified by allowing more virtual memory in your system’s settings – but it took a Google search to find this fix. It’s not covered in the game’s readme under troubleshooting. The game is also poorly optimised for running on various rigs. There’s some serious lag in game, which is particularly irritating during combat, sometimes combined with a lack of sound, temporarily. Luckily the auto-save feature can be disabled otherwise there’s more sudden lag or freezing during the game. And let’s not forget the loading times. 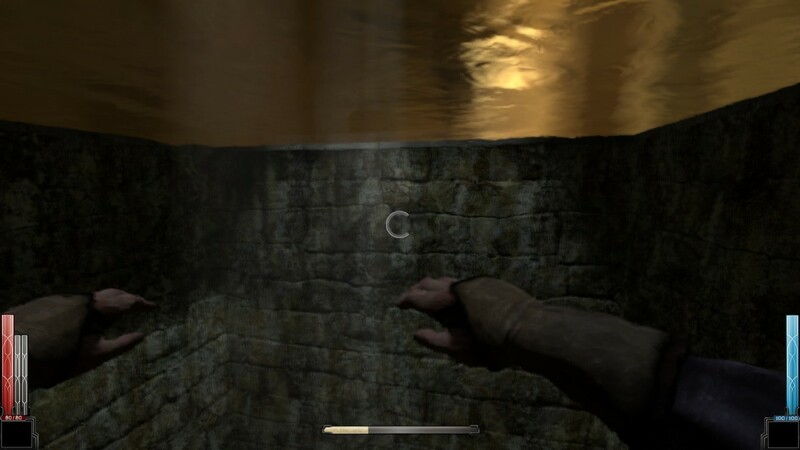 Dark Messiah has some of the longest you will ever encounter in any game – and there are not only loading points between chapters, but loading points between sections of a level, which is typical of the Source engine. And the game only runs on Windows XP, although with an upgrade to version 1.02, the latest, it will run on Vista as well. 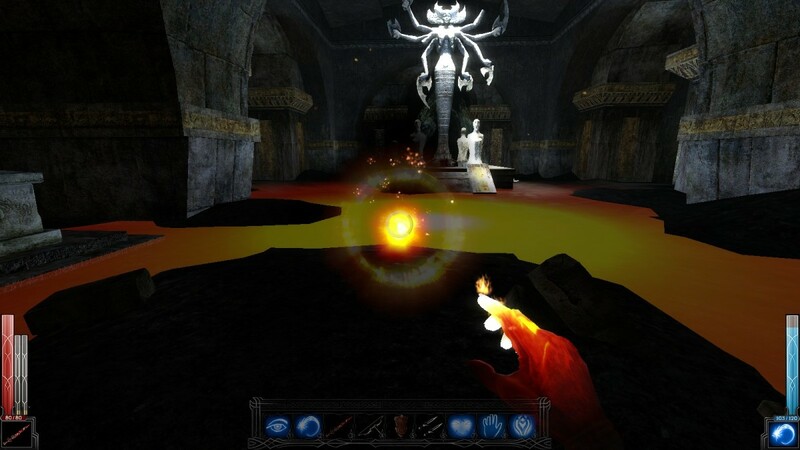 Dark Messiah received mixed reviews after its release. There are two camps it seems. There are those who get tired of all its bugs, poor programming, and loading times, and overall lack of polish, and hate the game. Then you have those who endure; stick with it despite its shortcomings and love the game. This is reflected on ModDB (Mod Database) where the game has an overall score of 9.5 out of 10 at the time of writing. Ironic then that the game doesn’t have much in the way of mods – only small ones which are more like fixes that aren’t highly publicised. But I can’t think why anyone would want to mod it actually. 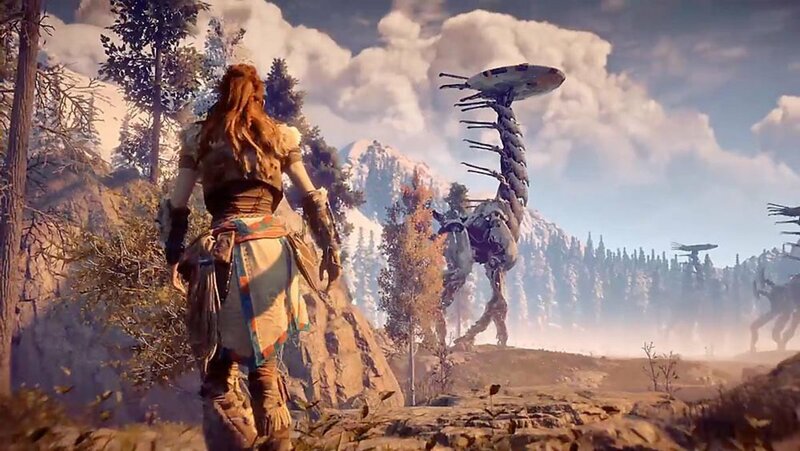 Because even though it is flawed (and completely bearable compared to the console version developed for the Xbox 360), it is a fantasy-themed action role-playing gamer’s dream come true. It couldn’t really be improved that much more gameplay wise if you tried. If you’re the type who ate up the likes of Diablo and its sequels, then you should probably try this. It's highly underrated. There’s a very good reason why it goes on my list of best games I’ve ever owned. Because it is a bloody blast to play. And that’s what really matters in the end. 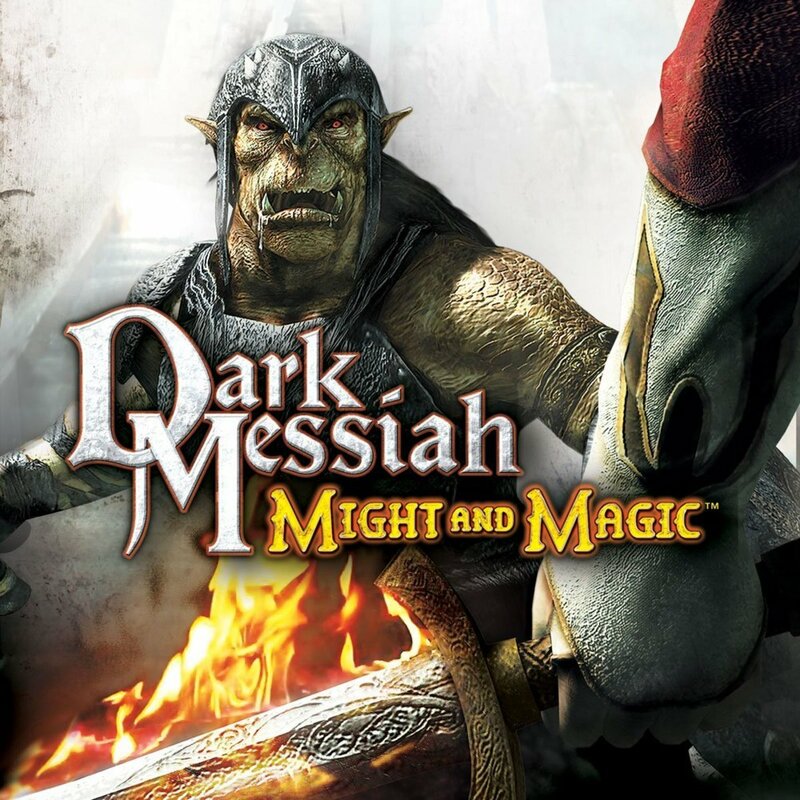 What do you think of Dark Messiah of Might and Magic? Excellent! It's like a Diablo FPS! It's all right. 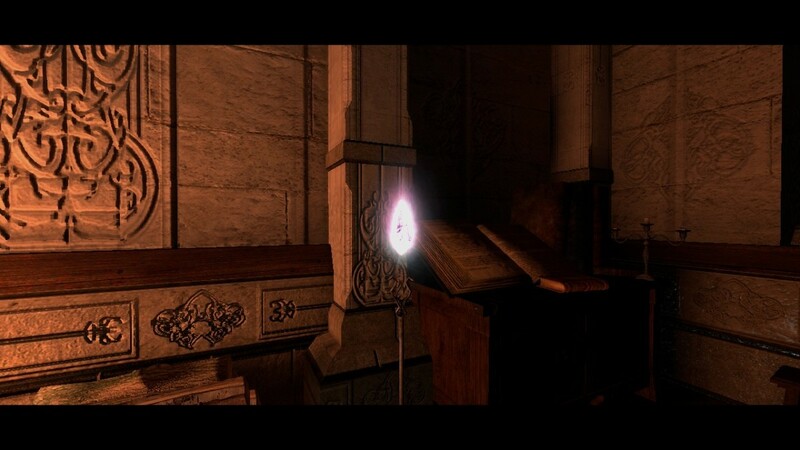 I preferred Oblivion. I hated it. Too buggy.